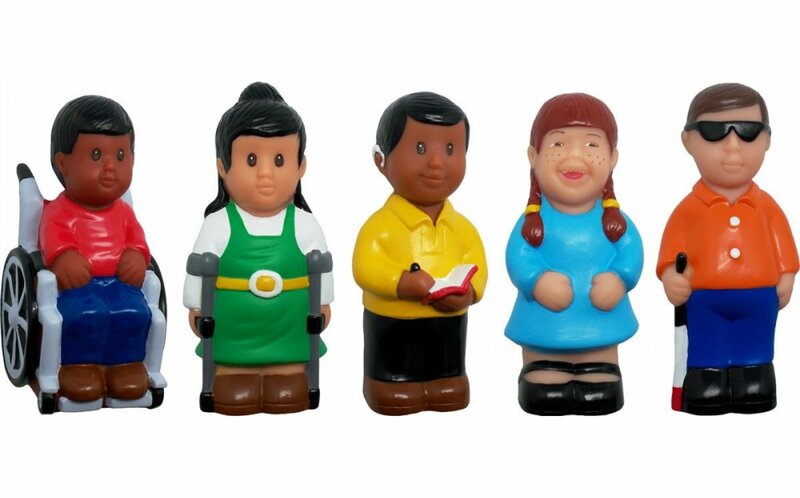 Set of five multicultural figures with physical disabilities. 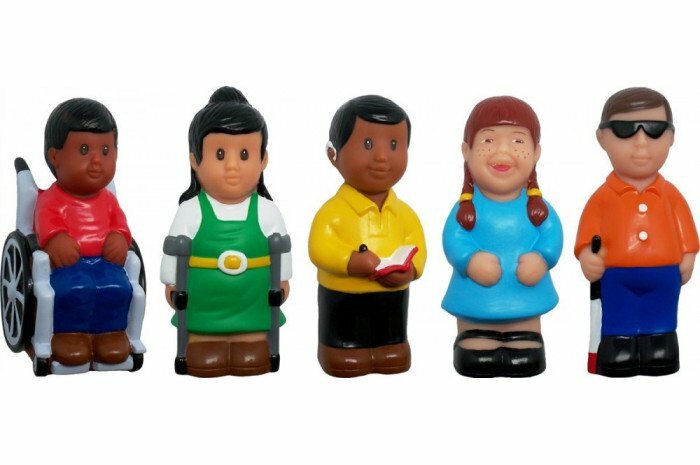 Chunky-style figures are great for small hands and can be used for play or sand tray. Approximately 4" tall. Plastic.